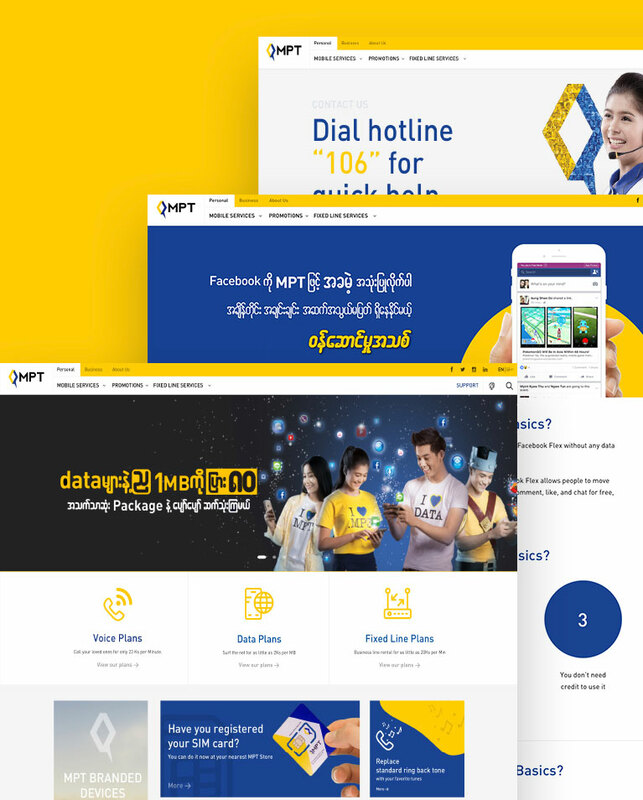 When telecom service lagged behind in Myanmar, users found it even more difficult to get helpful information on the Internet. Revo helped change that dilemma for MPT. 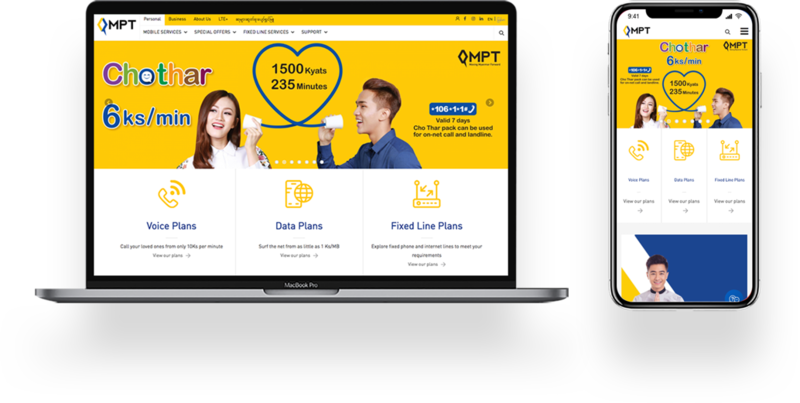 As the telecom company continued to upgrade its service, it sought to revamp the company site www.mpt.com.mm to make it more relevant and useful for consumers. A bilingual, mobile-first WordPress CMS site with re-organization of the sitemap, so it only takes maximum 3 taps for users to find information they desire. New page design also makes it much more modern and user-friendly.